Last mulberry pick of the season. The last mulberries of the season. These will be frozen for a couple weeks, until we get the time to make them into delicious, thick jam. These are “Illinois Everbearing” perched on the enormous heart-shaped leaf of the “Pakistan” variety. 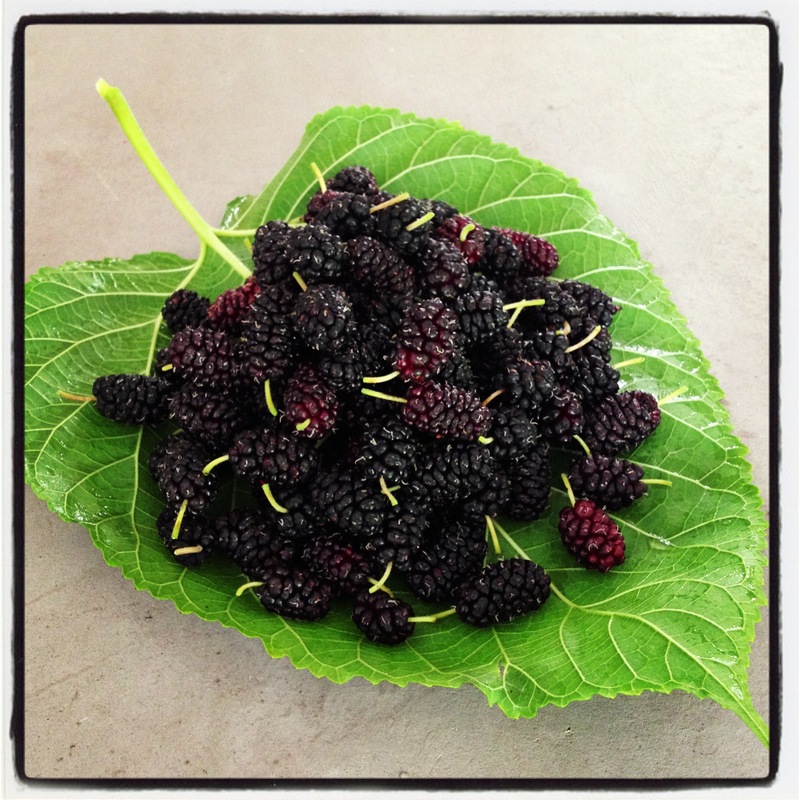 We picked our last pound of 2013 mulberries today, before returning to our life as school teachers this Monday. Late-season berries tend to be less large and shiny than our high-season berries. The drier berries have more concentrated flavors, making them ideal for mulberry jam and mulberry-infused vodka, both of which we will bottle up in the first weekends of the school year. Look for our jams to be sold in the December downtown Palo Alto Farmers Market… as for vodka, you’ll have to visit our backyard orchard someday!